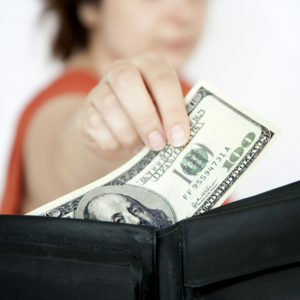 How much do you think you’ve spent on hidden fees in the last year? Really think about it. Do you have bank accounts, credit cards, or student loans? Have you purchased a home or car this year? Do you pay for childcare or even for a gym membership? If you can answer yes to any of those questions, then you’ve likely paid more hidden fees than you know! As financial review experts, FeeBelly wanted to determine if American consumers were even aware of these hidden fees they’re paying. FeeBelly’s survey returned some very telling statistics on the hidden fees in America. That amount you guessed that you’ve paid in fees this year? You probably need to multiply it – by 5 – to be accurate. Believe it or not, hidden fees are a billion-dollars-per-year industry. From the complicated terms of 401K’s to the everyday tricks of phone service contracts, hidden fees in America are everywhere. Around 62% of consumers have signed an agreement in the past year that included hidden fees. The hotel industry alone profits over $2 billion a year from mandatory “resorts fees” and other hidden charges. Service fees for concerts and sporting event tickets net close to $2 billion a year, too. And the airline industry, well-known for charging extra fees, was estimated to hit $22.5 billion a few years ago. So, unfortunately, you can be sure that you’ve been a victim of fine print fees at some point (whether you knew it or not). The most concerning part about the billions paid in hidden fees in America is that most don’t know they’re paying! According to the survey recently conducted by FeeBelly, 72% of consumers think they have only paid up to $50 in hidden fees in the last year. But based on the thriving hidden fee industry, and further research, we know that this amount is realistically much higher. Hardly anyone ever reads the fine print in contracts anymore, especially ‘click to agree’ terms of service. The survey revealed that more than half of respondents openly admit to not reading contracts thoroughly. Even when consumers know that reading the fine print is important and fully expect to be duped into paying extra fees, they’re clearly unaware of the total costs. As a victim of hidden fees himself, FeeBelly’s Founder is very knowledgeable on the hidden fees of terms and agreements and how to avoid them. But there is obviously a big education curve for consumers. The bad news is that you’ve already paid more in hidden fees that you know. But the good news is that FeeBelly can help! The free contract review app makes it easy to scan the fine print for hidden costly details. Your personal fine print detective highlights keywords specific to the document-type and flags anything that may need another look. Many hidden fees can be avoided through negotiating or just inquiring before signing on the dotted line. FeeBelly helps to jump the first hurdle through awareness and education (check out some of our content on avoiding specific fees). And being aware of the many hidden fees in America and how much they affect you is half the battle!